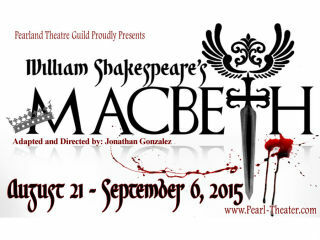 Pearl Theater will present Macbeth​ to open their fifth season. Something wicked this way comes. Three witches weave a circle of magic around Macbeth, flattering his vanity and encouraging the evil inside him. Soon Macbeth and his wife begin to manipulate fate, their efforts prove to be more deadly and self-destructive than they ever could have imagined. Set in a toxic world filled with addiction to power and blind ambition, greed, guilt, witchcraft, a descent into madness and murder converge in one of Shakespeare's most famous and bloodiest tragedies.